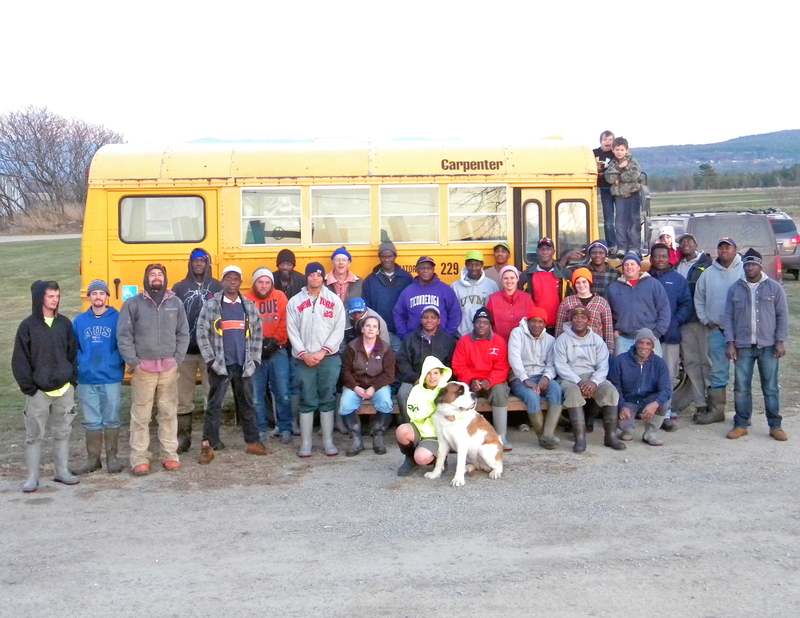 We’re casting our Co-op Spotlight this week on Four Pillars farm of Whiting, Vermont. 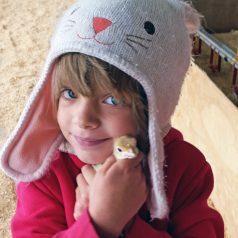 This beautiful organic farm provides our Co-op with an abundant array of local produce and you will find it all at 20% off for member-owners from September 27th – October 3rd! Read on to learn more about this gem nestled in the fertile valley of Addison County. 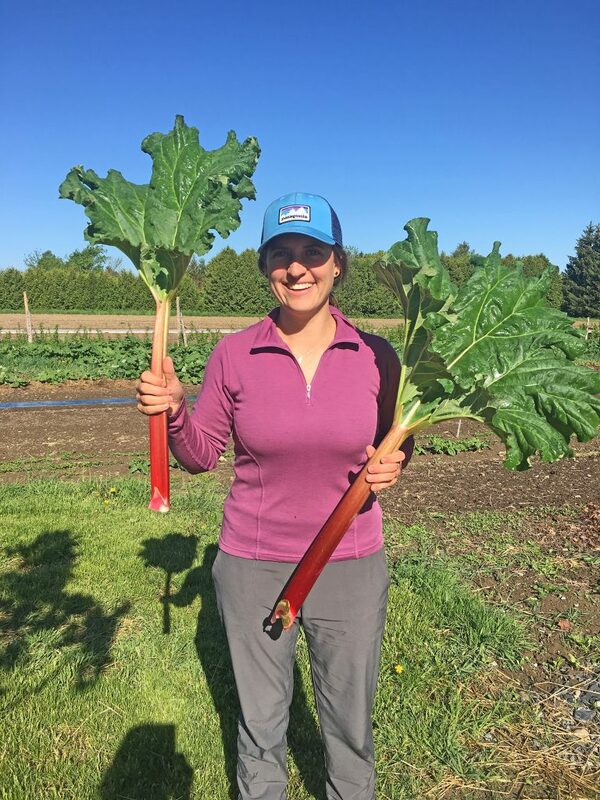 Four Pillars Farm is positioned on 15 acres of some of the best soil the valley has to offer: Nellis Loam deposited here by the glaciers during the last Ice age. This soil is a vegetable farmer’s dream. And it was this soil that prompted the beginning of the farm, nine years ago. Four Pillars Farm also believes in food security for all. They donate any excess vegetables to local food pantries. Click HERE to check out the Four Pillars Farm blog to keep up with goings-on at the farm. You can also visit their web page to subscribe to their mailing list and get a free downloadable A-Z Vegetable Storage Guide! And if you’re interested in getting a Four Pillars Farm CSA, click HERE! This September, I had the privilege of representing our co-op at the Vermont Partners Gathering at Equal Exchange. The two-day event, held at their national headquarters in West Bridgewater, Massachusetts, brought together managers and staff from three Vermont food co-ops with an aim on learning about the work and products of Equal Exchange—a worker-owned co-op of over 30 years—and collaborating with our peers from the Green Mountain state. 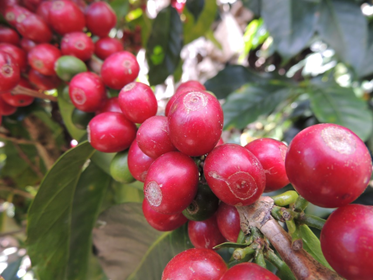 MNFC carries many of Equal Exchange’s fairly-traded and organic products, including whole bean and ground coffee, chocolate, bananas, and avocados. The Gathering was jam-packed with fascinating people and presentations. 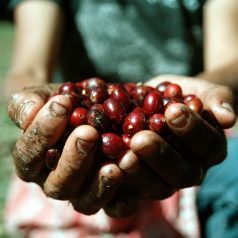 We toured their roasting facility where they roast coffee cherries from 26 different small-farmer co-ops in 12 countries. 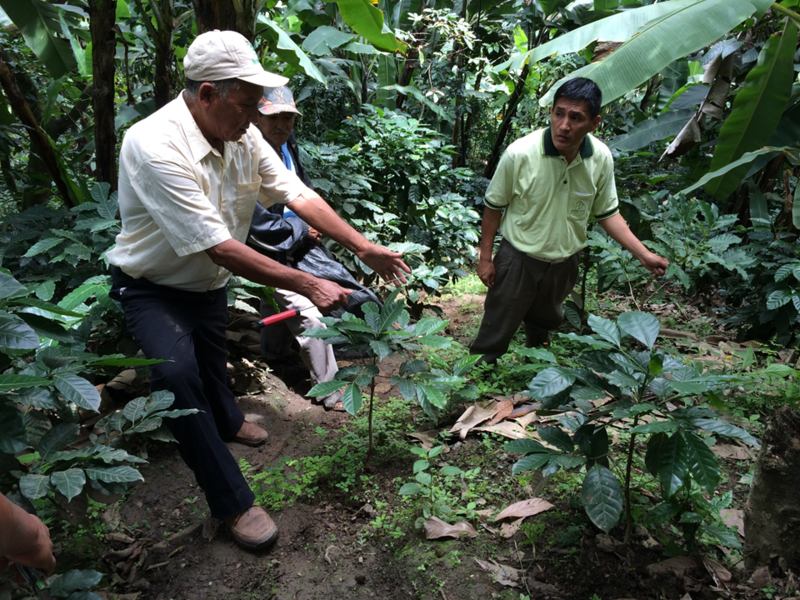 They buy 99% of their coffee directly from the farmers, which number 20,000 in Latin America alone! We learned about their rigorous screening process from “seed to cup, ” or from the farm all the way to the cupping lab where 30-40 cups are tested every day to ensure quality and consistency (I know a few folks who would LOVE that gig.) 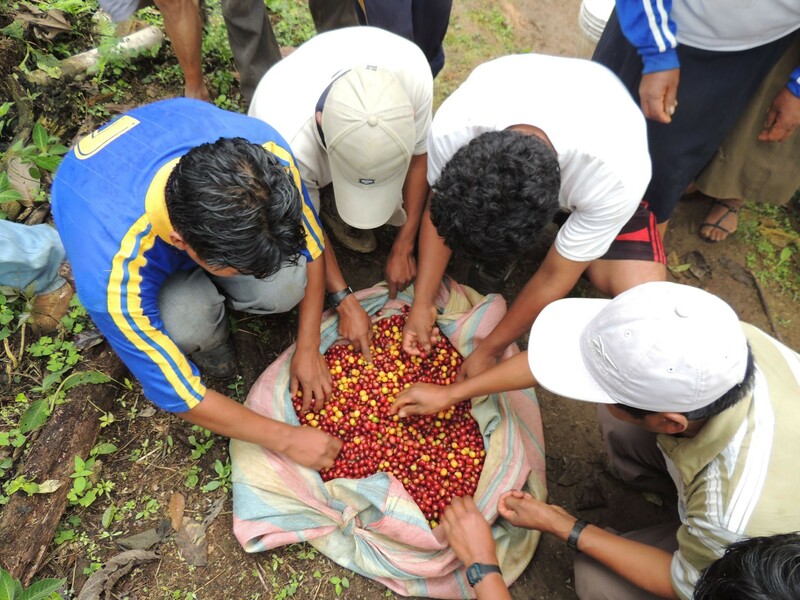 We engaged with the Co-Executive Directors, Coffee Quality Manager, Head Roaster, Action Forum community organizers, and many more of their smart, hard-working team. Overall, I had a lot of fun and learned much from the hosts and fellow co-opers that will help me make more informed decisions when buying—be it products for our store or my family. It’s clear this is a great company. From their mission which focuses on building “long-term trade partnerships that are economically just and environmentally sound,” to their “No Buy-Out” clause (it’s against their organizational by-laws to sell out to a larger corporation) I feel great about having Equal Exchange products in my home and helping to sell them in our store. Along with delicious, seemingly infinite helpings of coffee, we sampled their organic and fair trade chocolates, tea, dried fruit and nuts, bananas, and even a brand new offering: Palestinian olive oil. This was a treat in and of itself, but when complemented by the stories of the people and work abroad, and even photos of the farmers who grew each product, this experience left me with both a full heart and full belly—and at least a fleeting thought about maybe, possibly, becoming a regular coffee drinker (this was what my wife was hoping I’d come home with: a new habit.) I’m grateful to our co-op—especially our busy bulk department!—for giving me this opportunity to learn more about our food system and to network with like-minded people. Although I didn’t come back with a new addiction, I did gain a powerful insight on my Willy Wonka-esque trip south of Boston. Like a lot of you, I’m sure, I’ve always struggled with buying food from halfway across the world—bananas, cashews, and chocolate, for example. Fair-trade, organic, or not, the harsh reality is that these products demand a lot of energy to get to me in Middlebury, and I often find myself wondering why I can’t simply let go of exotic fruits and find myself more local nutrition. However, during my time at Equal Exchange, I realized that the same philosophy that leads me to support Vermont berry growers can pretty easily be applied to these Tropical-belt products: where banana trees grow, there are farmers who make their living growing them, and I can actually support their livelihood. On day two of the event, instead of looking at the bunch of bananas in the bowl on the breakfast table as a source of guilt, I began to see all the honest hands that produced it, and moved it, into the bowl. That felt good. Thanks to Alternative Trade Organizations, I can enjoy all the food benefits of these plants while also feeling good about more of my dollar supporting modest, hard-working people who are doing their part to feed the world while also taking care of the planet. In this global world, that instills a sense of community for me, and it’s a community to which I want to belong. It isn’t perfect—there’s still the problem of carbon emissions—but it’s laying a good foundation for the food system for when we figure out large-scale, sustainable transportation. I have to believe we’ll get there…without polluting our home along the way. We on the MNFC board have been discussing plastics. Yes, plastics – does anyone remember The Graduate, or am I just dating myself? Anyway, these discussions are in response to the answers from the leading suggestion in our annual meeting survey: Reduce plastic waste (i.e. minimize packaging & encourage reusable bags). Greg Prescott, our store Operations Manager, wrote an excellent letter in the August electronic newsletter on this topic: The Trashy Truth About Compostables. One of the biggest culprits in our use of plastic both operationally and by member-owners and other customers is the plastic bags provided in the bulk and produce department. We go through around 20,000 bags per month. These bags are for anyone to take and fill with our wonderful bulk foods or produce. The problem is not many people seem to bring back their plastic bag for reuse. The bulk department is designed around reducing our packaging footprint, but there is an environmental cost to using all this plastic in lieu of other packaging. In addition, the Co-op uses many plastic bags to prepackage bulk for customer convenience. The bulk department could consider switching to a plastic recyclable clamshell but this has potentially negative consequences including an increase in costs. We can’t just stop offering plastic bags for customers in bulk and in produce, but we all can reduce what we use personally. There are ways that we all, as customers, can help reduce this plastic use. We can bring own containers and/or pick up a mason jar now sold right in the store for $1. Another alternative that is provided by the Co-op is to use the recyclable paper bags for bulk items and then transfer the food into the proper container when you get home. You can find reusable drawstring Produce Bags for sale in the Produce Department, and at the registers. And then there is the checkout – we should ALL be using re-usable grocery bags or cartons to avoid taking paper bags to further reduce our waste footprint – there is a cost to recycling those bags. You can bring in any reusable bag that works for you, and there are a variety of types of reusable bags available for purchase near the Co-op registers, too. If you happen to forget your bags, we try to keep a stock of sturdy cardboard boxes available as paper bag alternatives. 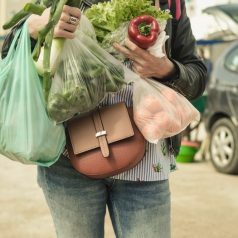 Do you have a tip to share for how to remember to bring your grocery bags? And have you tried the reusable to go containers at the salad and hot bar? What do you think? We’d love to hear from you. In other Board of Directors news, various board members are attending three workshops this fall. 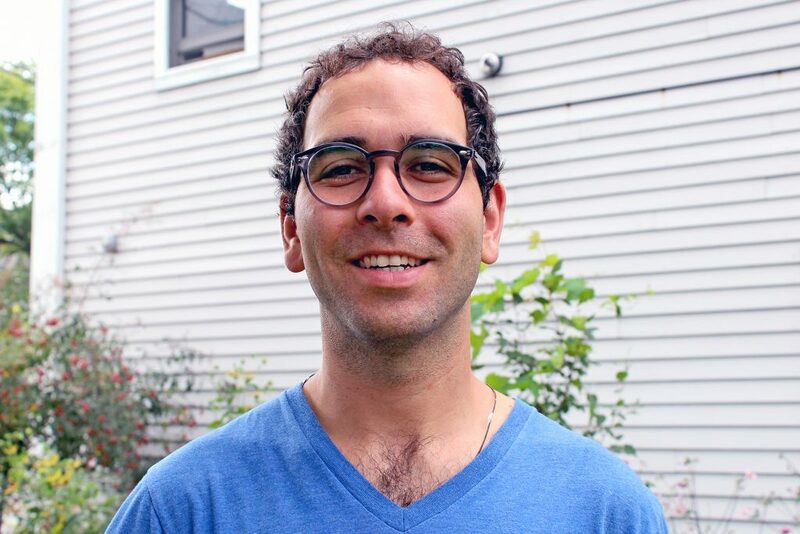 The workshops include a Peer Network Training hosted by The Neighboring Food Co-op Association at Upper Valley Food Coop in White River Junction that took place September 15. At that workshop, Coops met to share information to support each other. On October 13 the NCFA will be co-hosting a “Co-op Café” with CDS (Cooperative Development Services) entitled “Expanding the Vision of ‘We’”. And then in November, a networking event is planned to address unconscious bias. If anyone is interested in what we have learned at these workshops, please send an email to board@middlebury.coop and we’ll be happy to share! Happy Autumn! The crisp chill in the morning air and the first few dappled leaves high in the mountains signal that the season is here, along with the abundance of local apples. 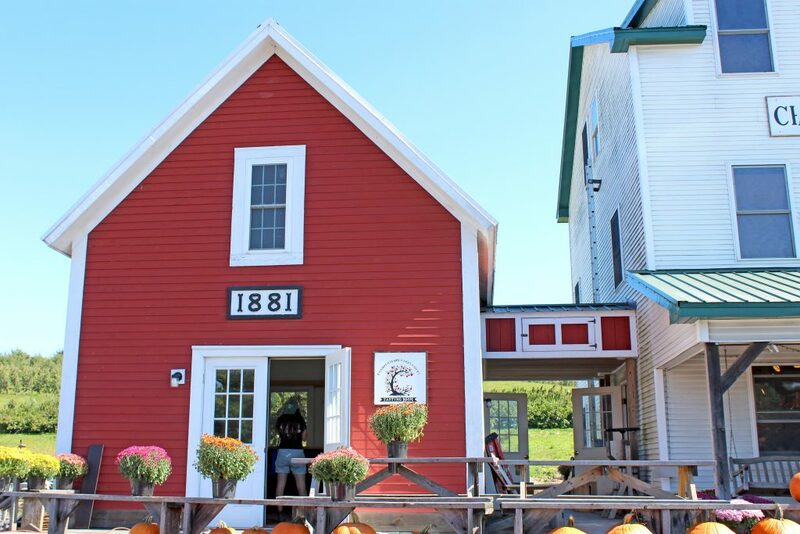 We’re deep into our celebration of Eat Local Month and we’re casting our Co-op Spotlight on one of the oldest continuously operating orchards in Vermont – Champlain Orchards in Shoreham! They’re featured in our Member Deals program this week, so member-owners can enjoy 20% off their stunning array of fresh apples and apple products including sweet apple cider, apple pies, and apple cider donuts, along with their plums and red pears from September 20th – 26th! 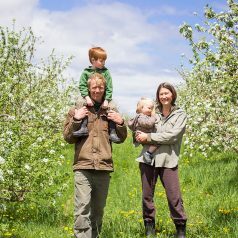 Read on to learn more about this family-owned, solar powered, ecologically managed orchard overlooking Lake Champlain. The story of Champlain Orchards as we know it today began in 1998, when twenty-seven-year-old Bill Suhr purchased 60 acres of orchard in Shoreham, Vermont. Bill’s motivation and initiative to live off the land overshadowed the fact that apple growing and fruit farming were not in his realm of knowledge, but thanks to the seasoned expertise of long-established neighboring orchardists Sandy Witherell, Scott and Bob Douglas, and Judy Pomainville – who all shared equipment, land, and information, it wasn’t long before the orchard was thriving. In the early days, Bill delivered 20 bushels at a time in a station wagon to the local farmers’ markets and co-ops. 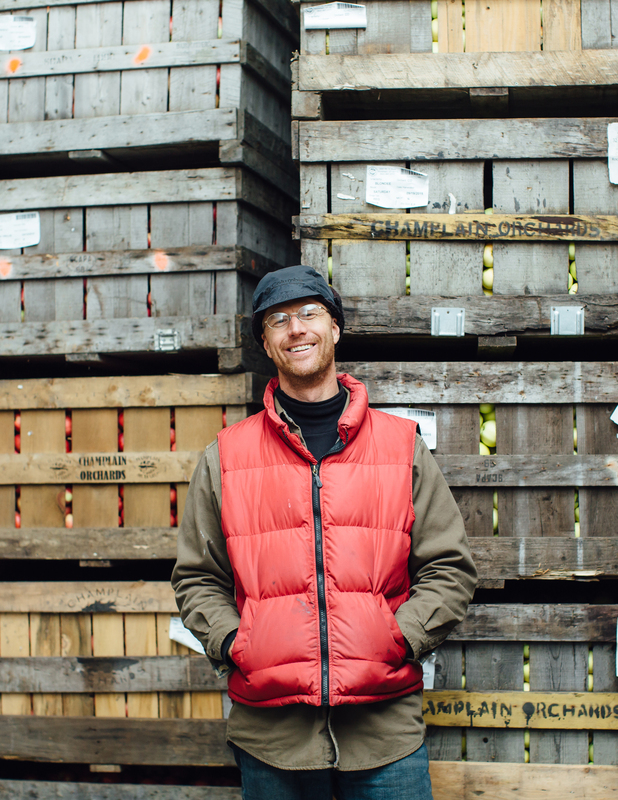 He quickly gained the trust of produce markets around the state through exhibiting a steadfast motivation and passion for delivering high quality, Vermont grown fruit. Today, Champlain Orchards manages over 220 acres of fruit trees that includes over 100 varieties of apples as well as peaches, pears, plums, cherries, nectarines, and berries. 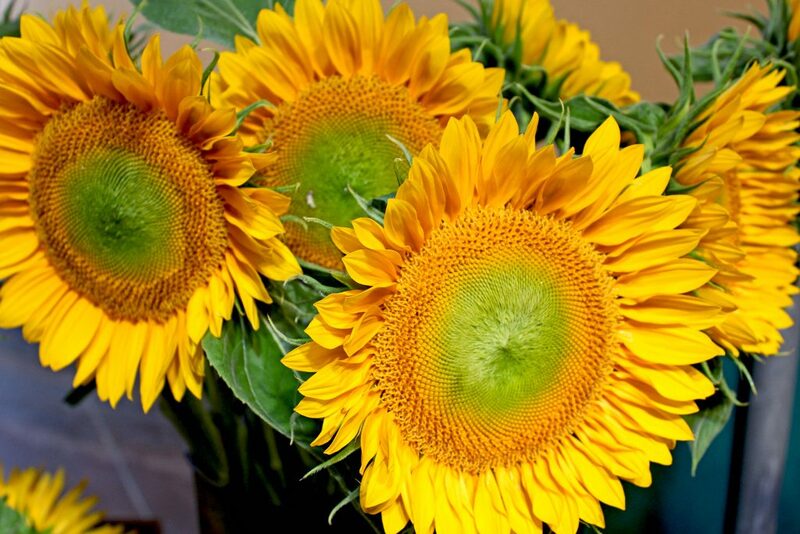 Their fruit is ecologically grown and third-party certified by the IPM Institute. Eight acres are certified Organic by Vermont Organic Farmers (VOF) and the farm is 100% electrically solar powered, with Solar Orchard #3 in the planning stages. Additionally, Champlain Orchards runs a cidery. Every single apple in their Vermont Hard Cider is pressed, fermented, and crafted at their orchard. This makes for a quality, local product that is fresh, crisp and deliciously drinkable. 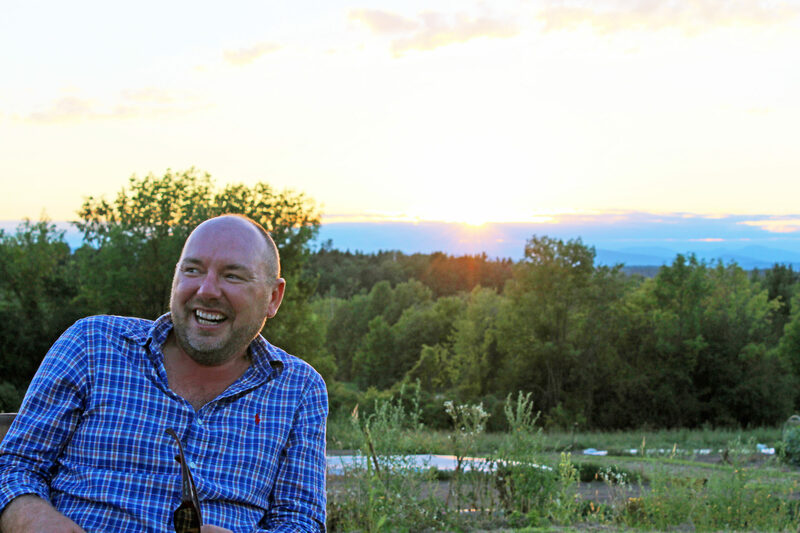 Their cidery offers original Vermont hard cider, Mac & Maple, Heirloom, Honeycrisp, Cranberry, Pruner’s pride, Ginger & Spice, Asian Pear, Honey plum, Pruner’s Promise, Sparkling Ice, Peach, Hopped Native, and Ice cider. Be sure to visit their tasting room! Champlain Orchards’ mission is to grow a wide variety of delicious ecologically grown tree fruit while respecting the land, supporting our communities and surpassing customers’ expectations. Champlain Orchards welcomes the opportunity and challenge to grow unique apple, pear and stone fruit while providing an environment for people to grow personally and professionally. 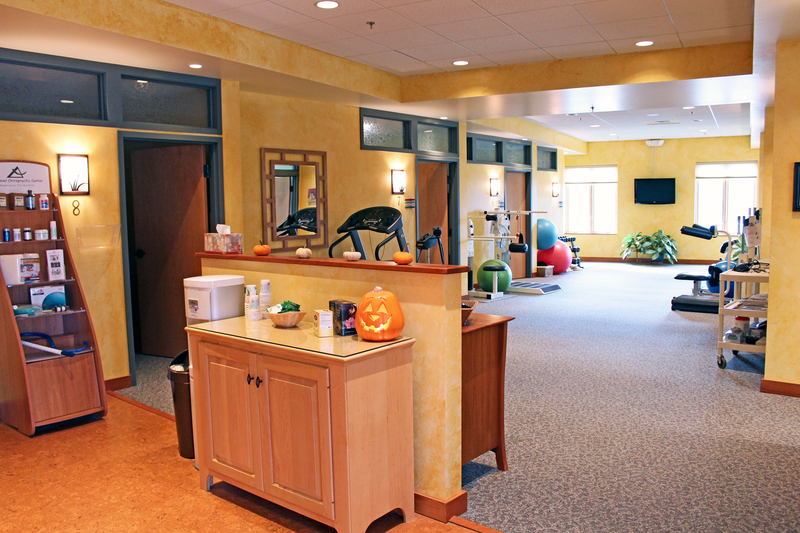 We strive to be leaders in our industry and community with innovative practices and products. 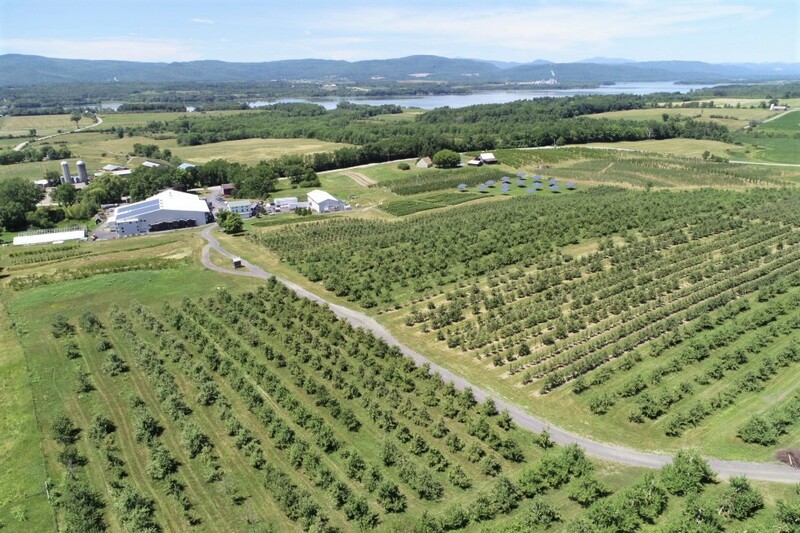 Champlain Orchards’ vision is to build a legacy as the premier ecologically managed orchard in the Northeast United States by being led by multigenerational management and staff through careful long term planning. Our sights are set on being the model for providing wholesome fruit, ciders and other products, using sustainable growing practices and renewable energy. So what does ecologically-managed mean? Great question! Eco Apple Certification is third-party verified by the Integrated Pest Management Institute of North America, an independent 501(c)3 nonprofit organization which supports and monitors low-input pest management. 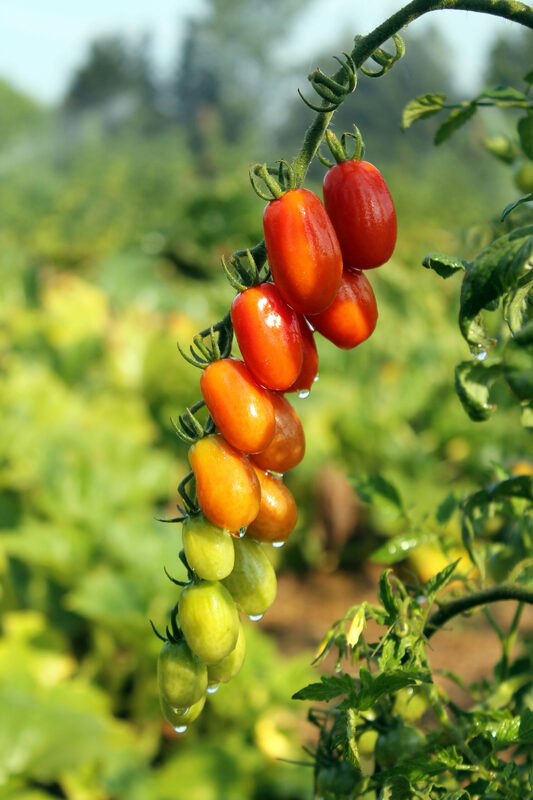 The IPM approach includes thorough training and inspection of certified farms, who use the most eco-sensitive, minimally-treated, natural methods possible to grow our fruit. For example, instead of extensive spraying, we use wood chips from pruned branches as mulch around the trunks of our trees in order to increase plant health, which in turn helps the trees ward off illness. Damaging pests are managed through the introduction of natural predators, mating disruption, and trapping, rather than pesticides – this ultimately keeps our trees, staff, and you safe. 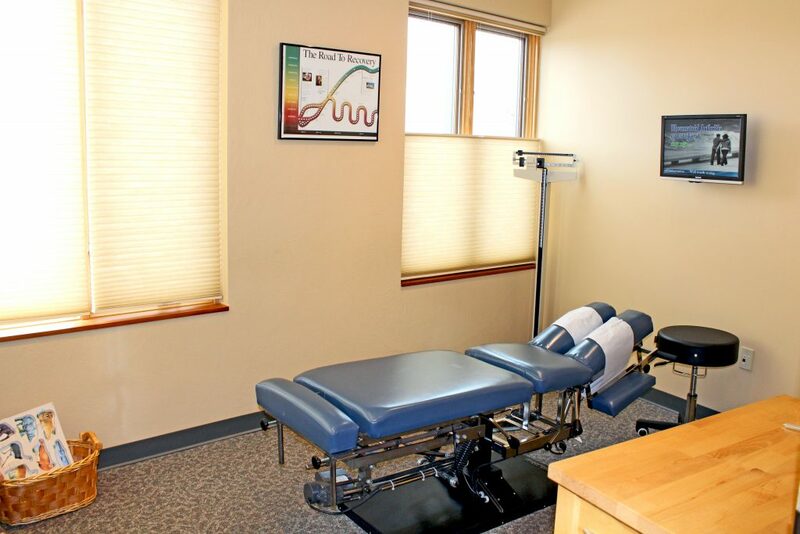 To learn more, please visit the IPM’s website, or give us a shoutout! Farm owners Will and Judy Stevens have been growing organic vegetables commercially since 1981, having started on a small plot of rented land in Monkton, VT. After growing their business and refining their techniques, all the while learning from other pioneers in the Vermont organic farming community, they determined it was time to expand their operation. 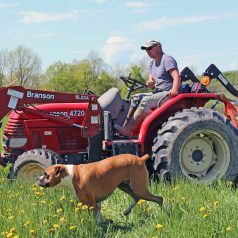 In 1984 they purchased a former dairy farm with good soils in the agriculturally-rich town of Shoreham, VT, in the southwestern corner of Addison County—home to Golden Russet Farm. 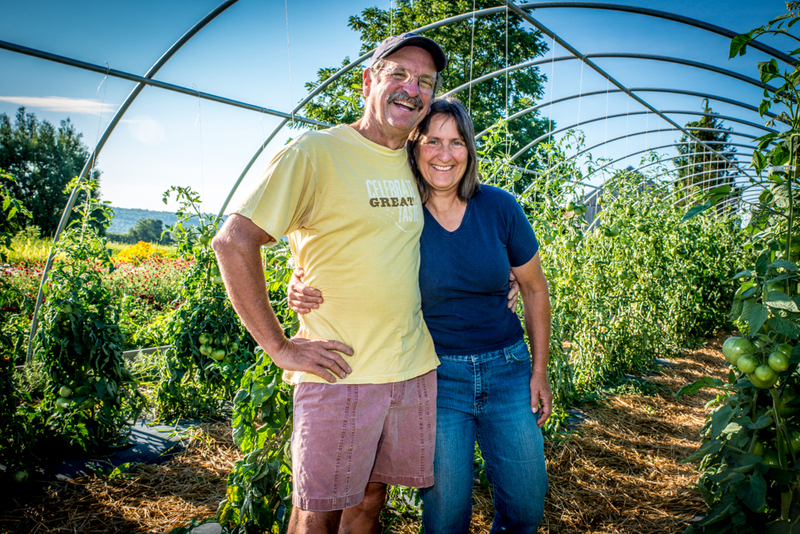 The Stevens have always used exclusively organic production practices on their vegetable and greenhouse operations and became certified organic by Vermont Organic Farmers in 1987. 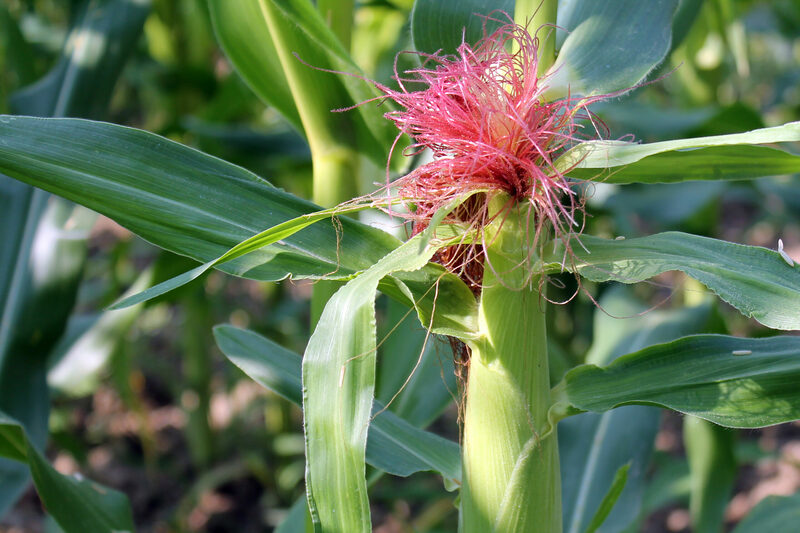 Among other things, this means they use crop rotation, cover crops, biological and naturally-derived pest controls, compost, animal manure, and naturally-derived fertilizers as standard management practices. 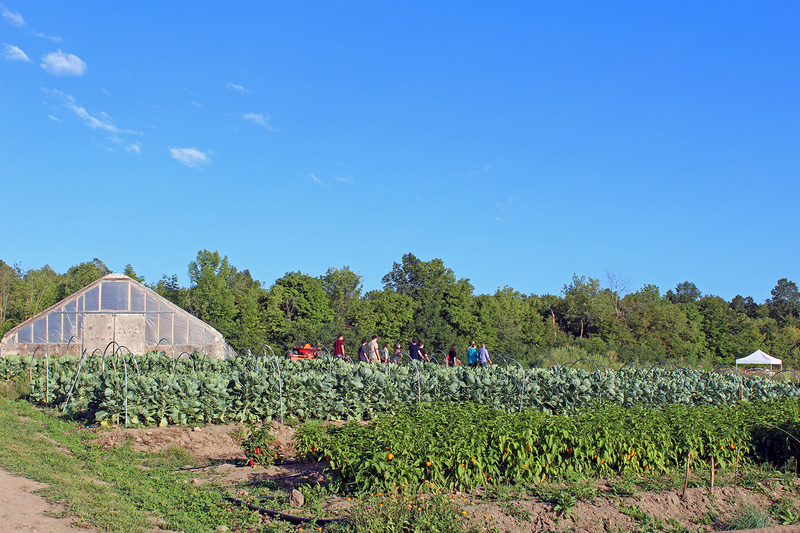 Golden Russet Farm starts off the season with vegetable and flower plant sales in the greenhouses and the Farm-to-Kitchen Connection CSA (Community Supported Agriculture) program. In addition to raising vegetables for market, Judy also grows flowers for cutting, which adds color to the fields and creates habitat for beneficial insects. 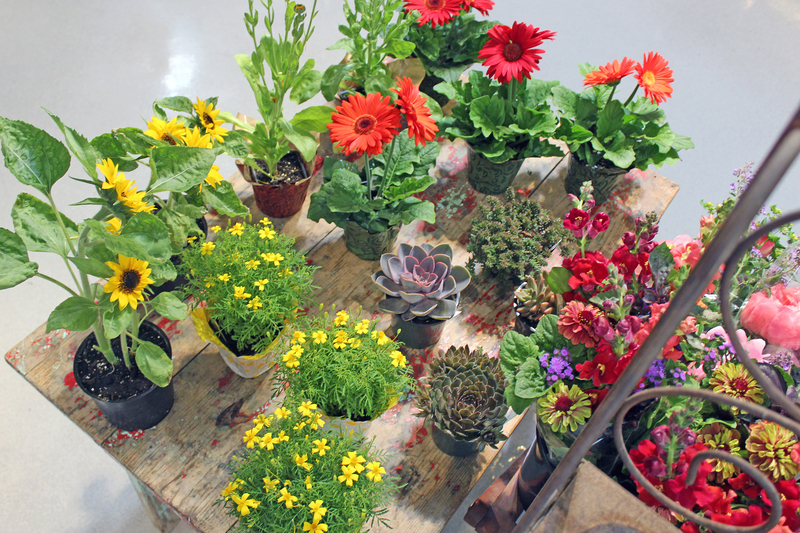 You’ll find these beautiful bouquets for sale throughout the summer months at the Co-op. 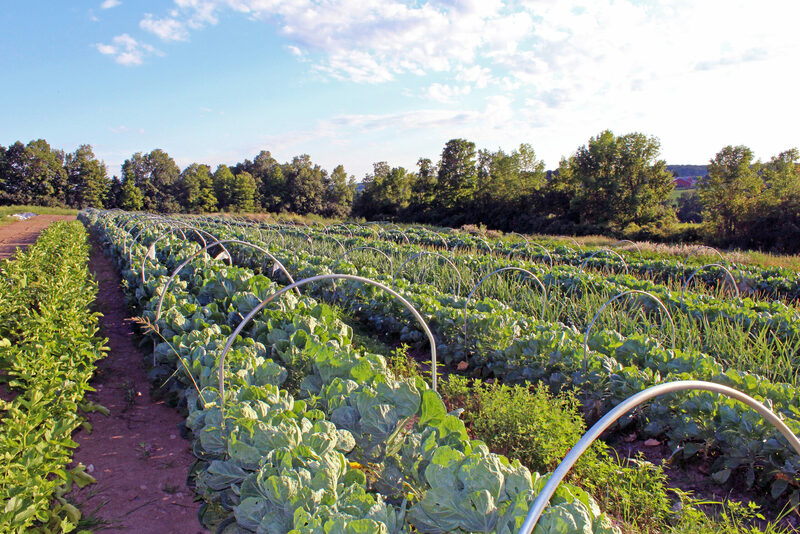 Since 2003, the farm’s focus has been on “hyper-local,” meaning that approximately 90% of their produce has been consumed within 20 miles of the farm. 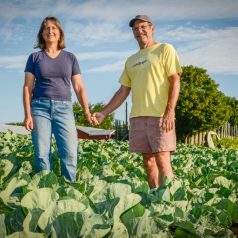 Their produce is available at the farm stand, their CSA, at food markets in Middlebury and Burlington, and at Addison County restaurants. In April of 2013 the Stevens put up five free-standing solar panels which provide them with all of their farm and personal electrical energy needs. 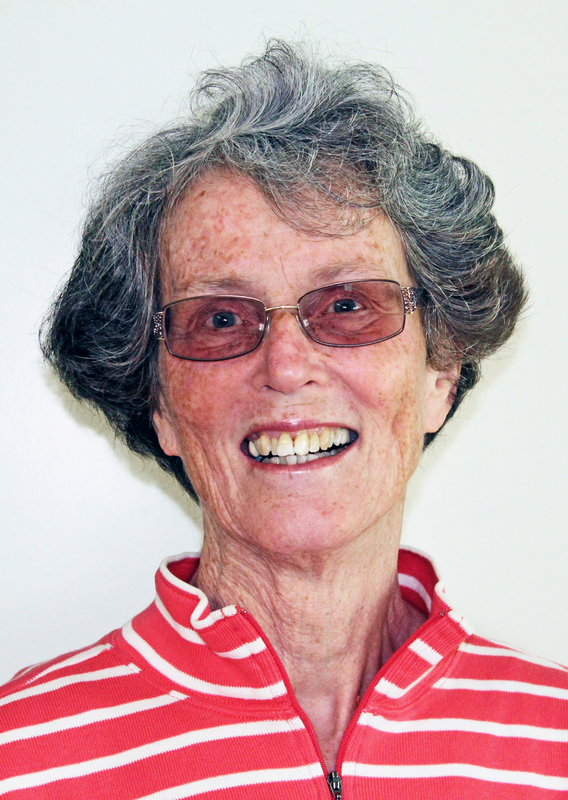 Judy is a fourth-generation Vermonter from southern Vermont. Her family ran a successful Christmas tree business in the Londonderry area for many years. This experience helped her and Will create a successful mail order wreath business that they ran from the farm until about 2000. Will moved to Vermont from the Ticonderoga, NY area in 1977 to finish his college education at the University of Vermont, which is where he and Judy met. He graduated in 1980 with a BA in studio art, with a specialty in blacksmithing. After spending the summer of 1980 at Shelburne Museum (Judy as a weaver, and Will in the Blacksmith’s Shop), they were serendipitously presented with the opportunity to ramp up their homestead gardening interest to a commercial scale, and in the first several years everything they grew was sold exclusively at the Burlington Farmers’ Market. From the beginning, their mission has been to provide good quality food to people at reasonable prices. 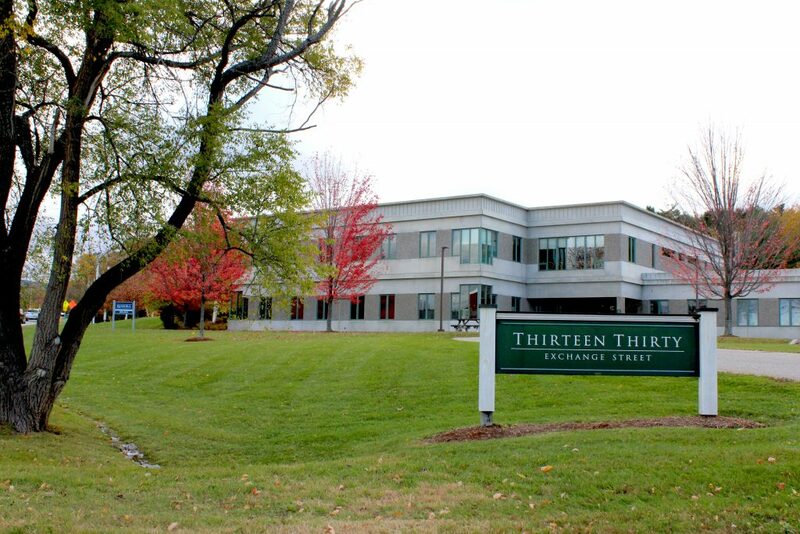 Shortly after they moved to an old dairy farm in Shoreham, VT, in November 1984, they began to raise a family–Freeman was born in 1986, Pauline in 1989, and Anna came along in 1991. The kids had a sand pile in front of the shed, which, as the greenhouse plant business grew over the years, became a magnet for customers’ children. At some point, the pile was moved to its present location at the corner of the flower garden, which makes it much easier for shopping parents to keep an eye on their children! 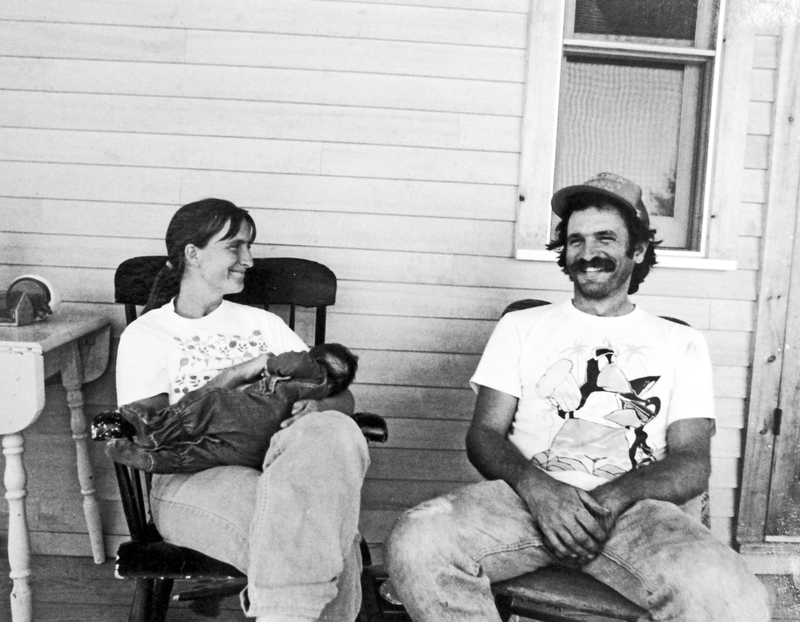 Between 1989 and 1992, Will served as President of Vermont Organic Farmers, which then was NOFA-VT’s certification committee. This was an exciting time in the world of organic agriculture. The sudden interest in the link between food safety and production practices was inspired by Meryl Streep’s CBS appearance on 60 Minutes in the fall of 1989 when she railed against a particular spray used on apples. “Mothers and Others for Pesticide Limits” was formed, bringing public awareness to the benefits of organic agriculture. Suddenly, a fringe movement that had been based on back-to-the-land ideals found itself moving toward the mainstream. Some would say that this was the beginning of the localvore movement. Judy served for 3 years on the board of the Vermont Fresh Network. 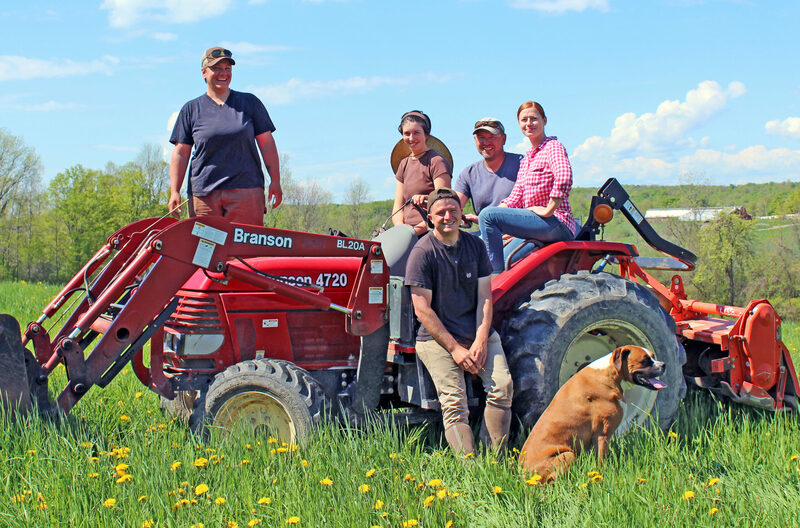 VFN strives to foster meaningful, mutually profitable relationships between Vermont food producers and chefs and was one of the earliest formal “Farm to Table” initiatives in the nation. Judy and Will have been actively involved in Town affairs through various organizations and boards. 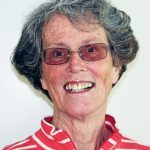 Judy served on the Rescue Squad through much of the eighties and has played an important role in the expansion and promotion of Shoreham’s Platt Memorial Library over the last twenty years. Will was elected to the Town Planning Commission in the mid-nineties and eventually chaired it for several years. He has since served on the Select and Zoning Boards and has been elected Town Moderator every year since 2004. In November 2006 Will was elected to the Vermont Legislature (as an Independent, representing the Towns of Benson, Orwell, Shoreham, and Whiting) for the first of four two-year terms. He was on the House Agriculture and Forest Products Committee all eight years and served the last four as ranking member. He is especially proud of two programs that came out of his committee during that time: the Farm to Plate and Working Lands Initiatives. Be sure to visit their blog for a fantastic zucchini corn fritter recipe! Lunch To Go…And Back Again! For those of you who might not have had the chance to read the blog post I sent out a few weeks ago concerning compostable packaging in the Co-Op, I’ll introduce myself again; my name is Greg Prescott, Store Operations Manager. In my last post, I wanted to connect with you to discuss the largest roadblock in switching over all our packaging to compostable— that we do not yet have access to high-heat composting facilities, which are required for proper decomposition of packaging. For this reason, we still rely on plastics, which can be recycled, but we are actively looking for better alternatives to meet our packaging needs. In light of this commitment to finding more sustainable alternatives, we’re introducing the reusable take-home salad and hot bar container, which you may now find at the Co-Op: a BPA Free, NSF Certified, Health Code Compliant, microwavable and dishwasher safe reusable to-go container. I’m so pleased to be able to say, IT’S HERE! 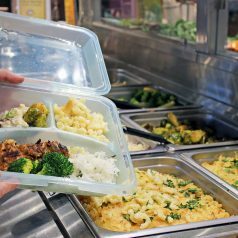 The health code states that all containers or plates for food need either be single use or washed and sanitized by the establishment between each and every use. This means, in practice, that I am unable to bring in my own container and fill it with delicious food unless the deli staff washes and sanitizes the container prior to use— a pretty inconvenient process for both staff and patron. This is the same system our customers have been using when buying glass bottle milk and, best of all, remains health code compliant. While this process may not work for everyone and does not address all of our hurdles in attempting to minimize waste on a broader scale, it does chip away at the issue. Every small step brings us closer to where we’re going. Thank you for helping to push our Co-Op forward and allowing me to serve in that process. Be sure to visit us on the web for recipes!